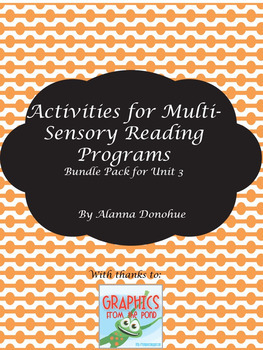 This bundle includes compatible activities/worksheets for all steps for Wilson Book 3. Activities include marking up words, editing simple sentences, drawing sentences, and more. This file is an independent product and is not affiliated with, not has it been authorized, sponsored, or otherwise approved by Wilson Language Training Corporation. Wilson, Wilson Reading System, Fundations, Just Words, and Wilson Fluency are trademarks and/or registered trademarks of the Wilson Language Training Corporation.